Growing up in a suburb of Cleveland, I cant help but love this city. Perched on shores of Lake Erie, its a small city by American standards, but the second largest in Ohio. We call it the Cleve or simply The City. Economy: To be quite frank, the city is struggling a bit economically. As a child, I remember the recession of the 1980s that caused a good amount of industry to leave Cleveland, which is why the city acquired the unfortunate nickname of mistake on the lake. But it has rehabilitated somewhat since then (now comeback city) and my childhood memories are filled with trips to the big city to see which new stores had opened up. Yet unemployment is still higher than average, unfortunately, and the comeback city still has a bit of coming back to do. In recent years, the economy has been bolstered by the healthcare industry, which has been growing and providing many excellent jobs. Diversity: Im not sure if I would live there now, as an adult, because Im in love with the more dramatic mountain scenery in Seattle, where I live now. But I do miss some things about the city. One thing I miss about Cleveland is its rich diversity. Seattle is great in many ways, but its also oddly segregated and its easy to accidentally find oneself surrounded by faces just like yours for the majority of your life. In Cleveland, thats not the case (as much). Cost of living: With skyrocketing housing costs in Seattle, I also miss the inexpensive rent in Cleveland! Housing is significantly lower than most other mid-sized American cities. If youre lucky, you might be able to buy one of the gorgeous old Cleveland mansions for half the price of a studio in San Francisco. Some of this, of course, is due to parts of town being low-income, and the still-struggling economy. 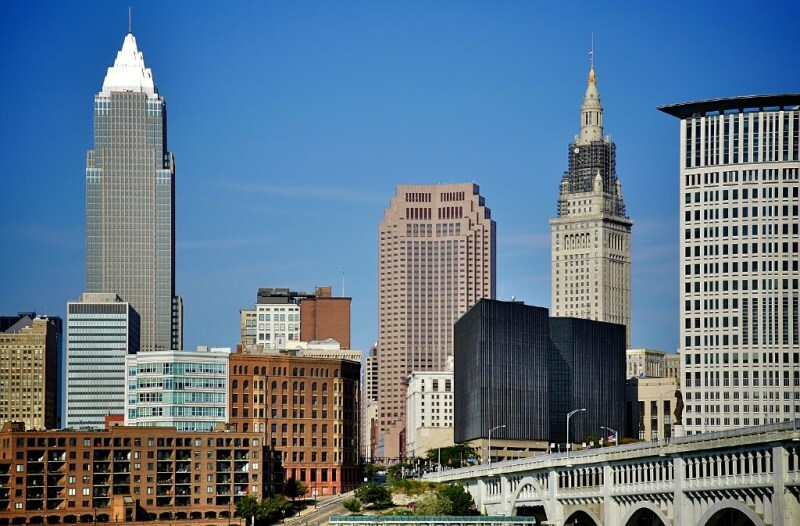 Unlike in other cities, which have been urbanizing, or becoming more densely populated in the past couple decades, Cleveland has been suburbanizing, with new housing developments popping up outside of the city center. This has taken a toll on the vibrancy of the urban center. It appears that this may be shifting back towards urbanization, which I hope is the case, so that the city center continues to be revitalized. Arts and culture: The theater scene is enormous in Cleveland. There are 9 theaters in playhouse square, ranging from dinner theater style to ornate baroque to modern. I was so grateful as a child to get to go to the theater as well as to see the Cleveland Orchestra. Neither was very expensive, which is another thing I love about Clevelandmuch of the fine arts are accessible. Professional Sports: Cleveland has one of the most controversial sports team names in the country: The Cleveland Indians. Its not as controversial as The Redskins, but our Chief Wahoo Native American logo is extremely offensive. Since 2014, theyve been phasing it out, in favor of a logo that simply states the name of the team. This is an improvement, but really, they need to change the name as well. Its quite embarrassing that it took them this long to change even the logo. That being said, fans fiercely love their sports teams here. Parks: The Cleveland metroparks system is one to be admired. There is an amazing series of very large parks around the perimeter of the city that were a joy to walk around and explore with my family when I was young. This parks system is something that Cleveland is rightfully proud of, as they add an important, and beautiful, natural aspect to the city. Winter: The winters can be harsh in Ohio, but when you grow up there it seems normal. We would use cross-country skis to get around if walking was too treacherous or tedious. I grew up downhill skiing At Alpine Valley, with the occasional trip to Mad River. Though both were fine, there is no going back after the luxury of big mountains and (mostly) ice-free snow on the west coast. I do miss the tubing though! Nothing like flying downhill on an inner tube with your friends as a child. No skiing skills required. "Downtown Cleveland really is on the move"
"Tremont is coming on strong as the destination for Cleveland culture and nightlife"
"Industrial Living with a bit of home life"
"An 8-lane highway! at it's best." "Beautiful Street In One of the Best Neighborhoods"
"The street to be on if you need medical care!! " "Cleveland: The Good, The Bad, and The Nostalgic"
"South Belvoir Blvd - nice drive - pretty scenery"